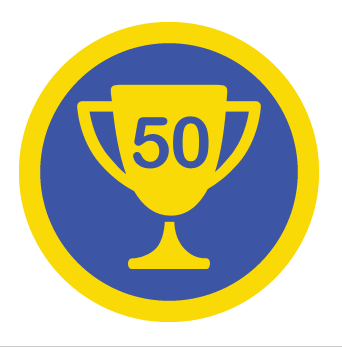 UPDATE: I just Unlocked the SuperStar Badge on FourSquare. hooray. How cool. Now I have something saved in “the Cloud” aka some server in cyber space to remind me of a new restaurant that I’d like to try. Forgive me if I’m not jumping for joy, but as a consumer* I’m not seeing a whole lot value in FourSquare. In 50 checkins, I’ve only found 1 or 2 specials. How does that increase my loyalty? * Maybe it’s because of who I am and where I go, i.e. my target market. Today, I checked in at my son’s baseball game. No specials there, not even a bathroom. Yesterday, I checked in at a park — again no bathroom and not tips either. Last week I checked in at a public library — what a great way to promote services such as daily book rentals and free c-book downloads. But the library didn’t offer me a deal on that or even mention these great services in the tips section. What deals have I unlocked? Mmmmmhmmm, hard to remember. Oh yes, 10% off at the Minneapolis Institute of Arts Gift shop, but I didn’t use it because I was shopping at the special Art in Bloom shop across the hall and they didn’t honor it. What else….an undisclosed discount at Macy’s via Checkin for Facebook. That was too much work to figure out what it applied to, so I didn’t use that one either. Frankly, I find Foursquare a time and data-plan waster. Maybe if I had an unlimited data plan with my smart phone, I’d think differently, but now, every time I check in, I have to remember to close out the Foursquare app. This is not to say I don’t see the potential in location-based loyalty programs. Foursquare is a great tool to get creative with. Imagine, as a business you could speak directly to your loyal, tech savvy customers when they walked in the door. Wouldn’t you want to take the time daily or even weekly to say something about your business to them or reward them for their patronage? 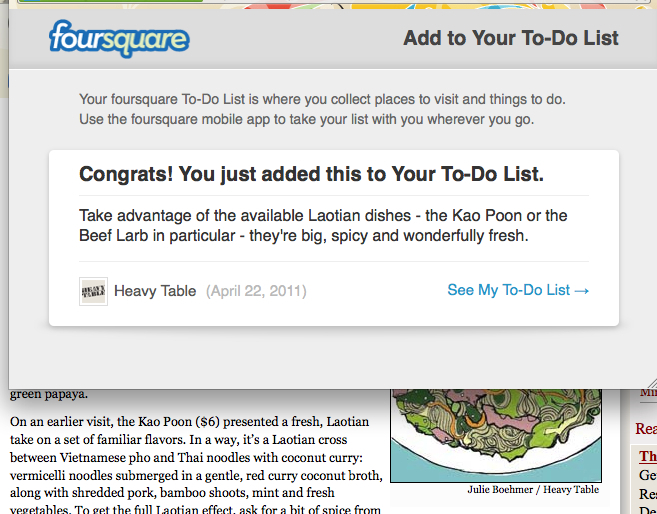 Foursquare doesn’t have to be just for frequent diners and club hoppers. Every organization has something to say, this is just another tool that is under utilized. What should Foursquare do? Print a billion window decals and pass them out to small businesses — they’ve already got little Facebook logos in their windows. At least I’m the mayor of D’Amico & Sons – Arts Cafè at The Minneapolis Institute of Arts. Congrats Ms. D’Amico Mayor! I agree with you regarding the lack of local businesses participating on Foursquare. Perhaps it’s them not knowing how to participate in this free service? P.S. Get yourself a better plan!! (Sprint $65/mo. unlimited data). I think you are right! I think I should just update my plan. I have the smallest AT&T plan available!!! Thanks for the post, Sara!